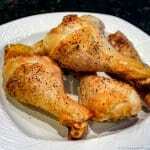 Chicken… To Rinse or Not To Rinse? 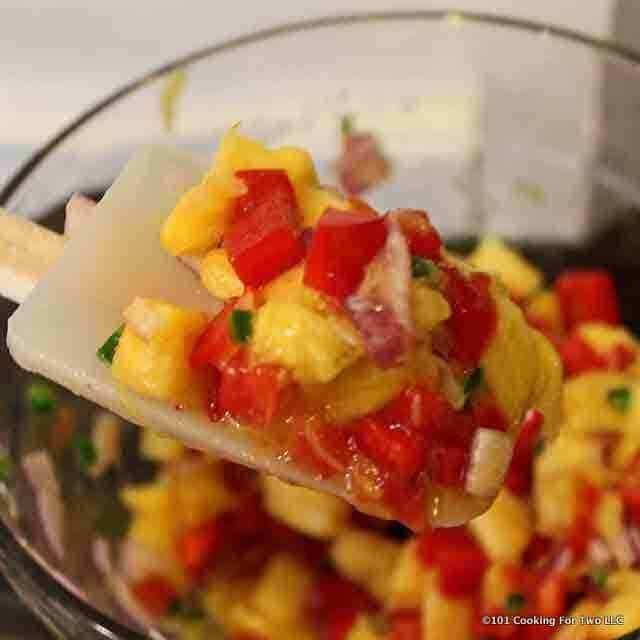 Mango salsa is so simple to whip up. Wonderfully tasty and a great compliment to spicy Mexican foods. Just a little slicing and dicing and you’re there. Perfect for a party and friends. Editor’s Note: Originally Published July 4, 2010. 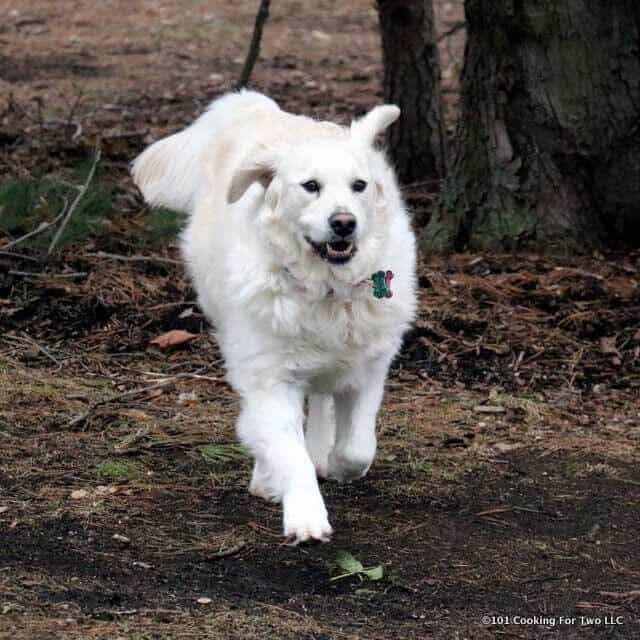 Updated with expanded text and instructions along with updated photos. I was on a Mexican spree when I first did this recipe. I have repeated it many times. It is one of my wife’s favorites and has been a main Mexican side dish for us. Please give this great side dish a try. An easy 5. My wife has tried to live on it several times. 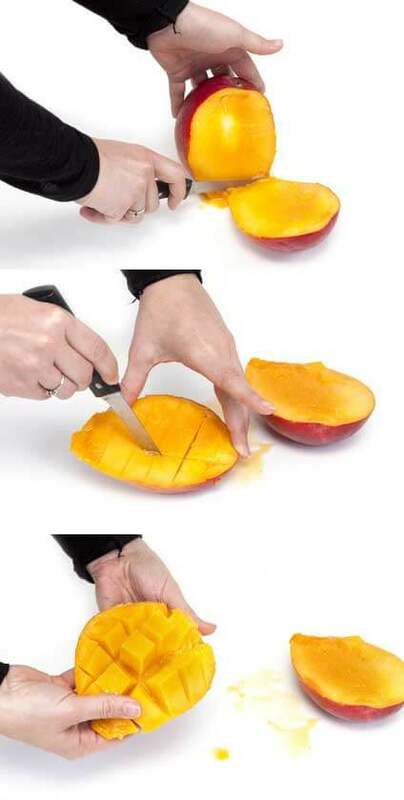 How to Cut Up a Mango. 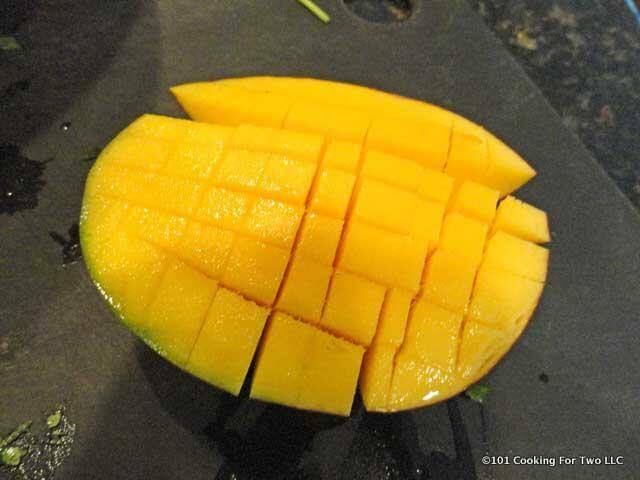 Cut a disk off both sides of mango, as close as possible to the pit. Turn the disks inside out, then cut off the chunks. You can try to get more out the part with the pit, but it won’t be much. A good mango should be firm but not rock hard, and definitely not mushy. Do I have to use the mango? 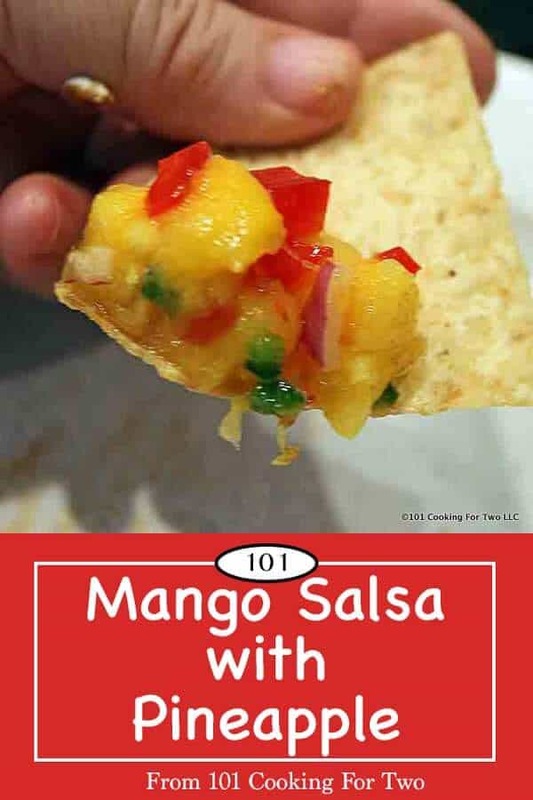 Well, it is called mango salsa, but since you asked, you can substitute in 1/2 of a pineapple for the mango. Do I have to use pineapple? No, but double the mango. What to do with the other half of the pineapple? Double the recipe, slice and eat, or send it to me. Can I use canned pineapple? Yes, but you don’t really want to do that. Fresh pineapple is great. But if you insist, a 20 oz can of chunks drained should be about equal to the 2 cups a half of a fresh pineapple will yield. In the original recipe, there is cilantro. 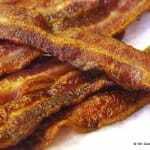 You will see it in the ingredients, but some of the pictures (the newer ones) do not show it. We do not like cilantro in this house. Both my wife and I do not like the taste. I have left in the ingredients, but I don’t use it. Start by cleaning the pineapple and pepper. 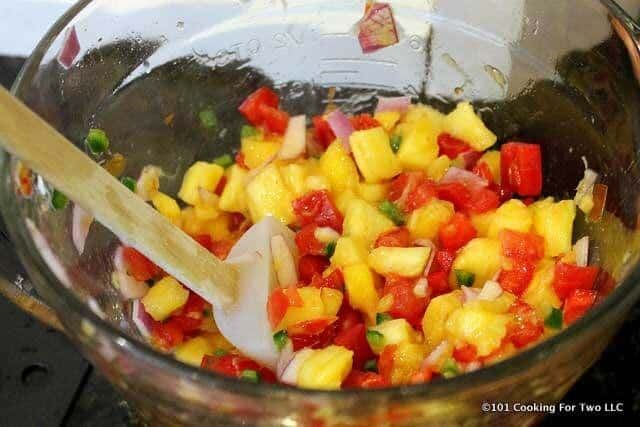 Chop half the pineapple and half the pepper into 1/4 inch pieces. 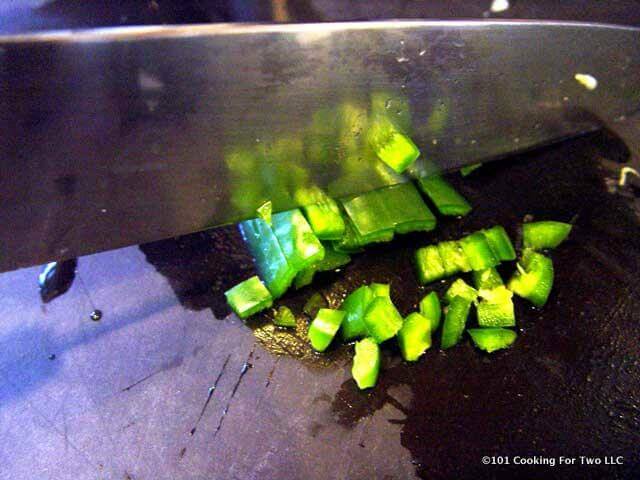 Clean the jalapeno by cut off ends and de-seeding then chop fine. Chip half of a small red onion into 1/8 inch pieces. 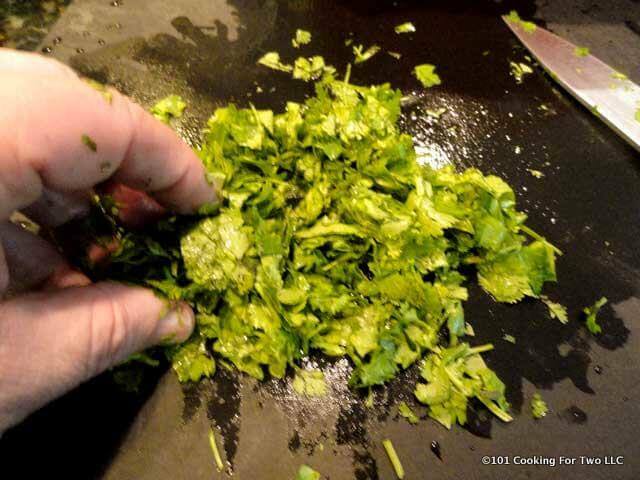 Chop the cilantro if using. Cut the mango and the Roma tomato into 1/4 inch pieces. If you need instructions on the cutting up the mango, see discussion above. Add all to mixing bowl and add the juice of one lime. Mix well. Refrigerate for 1 hour before serving if your wife lets you. 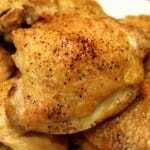 Do you want more recipes from 101 Cooking for Two? Sign up for the newsletter and get all posts delivered straight to your inbox! If you enjoyed this recipe, the pleasure of a rating on the recipe card below is requested. 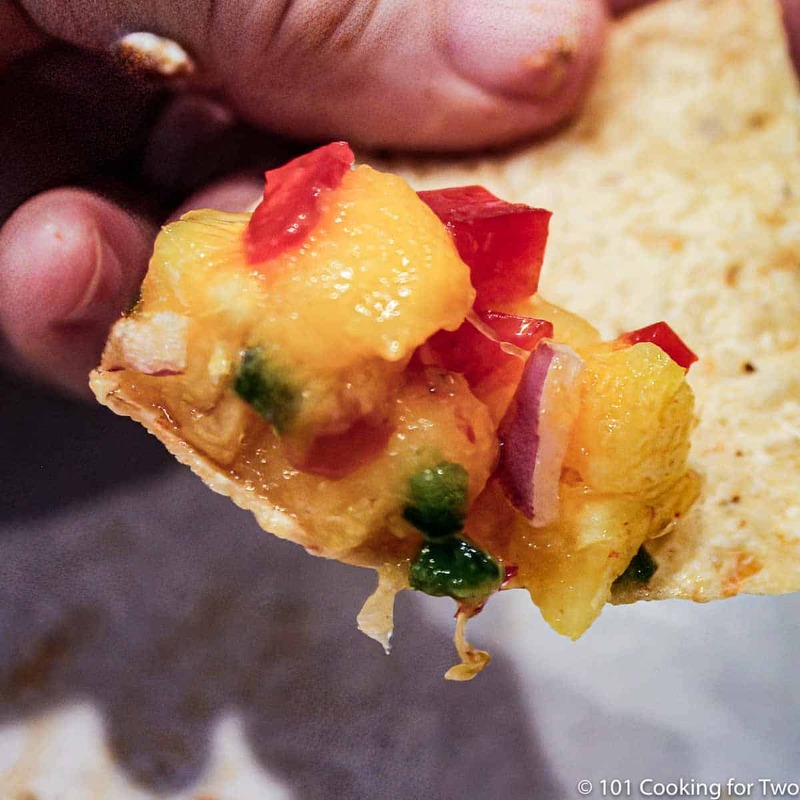 Mango salsa is so simple to whip up. Wonderfully tasty and a great compliment to spicy Mexican foods. Just a little slicing and dicing and you're there. Perfect for a party and friends. 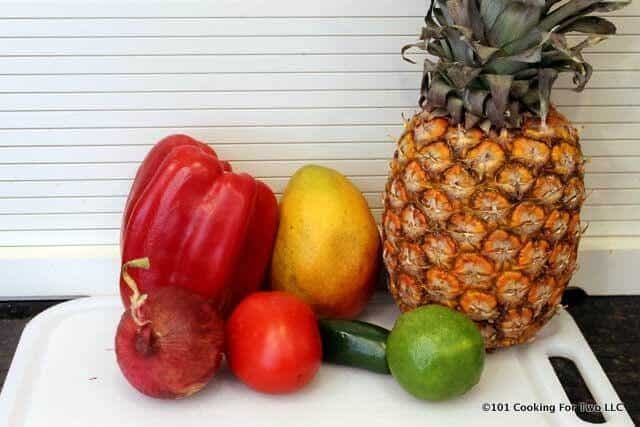 Cut the mango and the Roma tomato into 1/4 inch pieces. Add all to mixing bowl and add the juice of one lime. Mix well. Refrigerate for 1 hour at least before serving. Roma or plum tomatoes are better for this since they have more "meat". You can double the mango and eliminate the pineapple. Do not use canned pineapple. Have a question or something not clear? Ask in the comments. Nutrition is for one serving. Number of servings is stated above and is my estimate of normal serving size for this recipe. All nutritional information are estimates and may vary from your actual results. This is home cooking, and there are many variables. To taste ingredients such as salt will be my estimate of the average used. If you like this recipe or find it useful, the pleasure of a nice 4 or 5 rating would be greatly appreciated. Originally Published July 4, 2010. I'm DrDan and I hope you enjoy the recipes. The blogs purpose, in addition to providing easy everyday recipes mostly for smaller households, is to help you develop cooking skills that will serve you a lifetime. Check out About DrDan and 101 Cooking for Two for more information. To Enter New Comments - Box Now Located at the Bottom of First Page of Comments. Up to 25 comments per page. What to do with the other half of the pineapple? Brush the pieces lightly with oil and grill it! Grilled fruit is the best-kept secret of summer. I’m making pork tenderloin tonight and this seems like it would rock on top of that. Hmmmm might have to get a mango. Comments and questions are welcomed. If your comment is spammy, rude, obnoxious, off-topic or contains a link, it will be deleted at my discretion. Keep it polite please.. See The Recipes before commenting about recipe size. See Comment Guidelines for more information. Hi, I’m DrDan and welcome to 101 Cooking for Two, the home of great everyday recipes with easy to follow step by step photo instructions. More about DrDan and 101 Cooking for Two. Chick out About DrDan and 101 Cooking for Two. 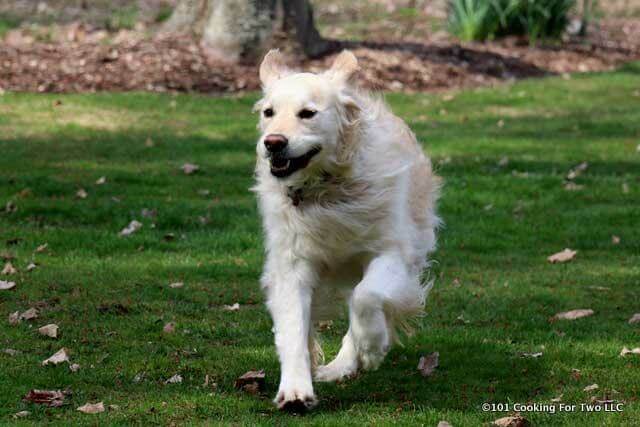 Find out what this blog is all about and contact information.